The third edition of Health focuses on areas such as women’s health, emergency medicine and neuroscience. 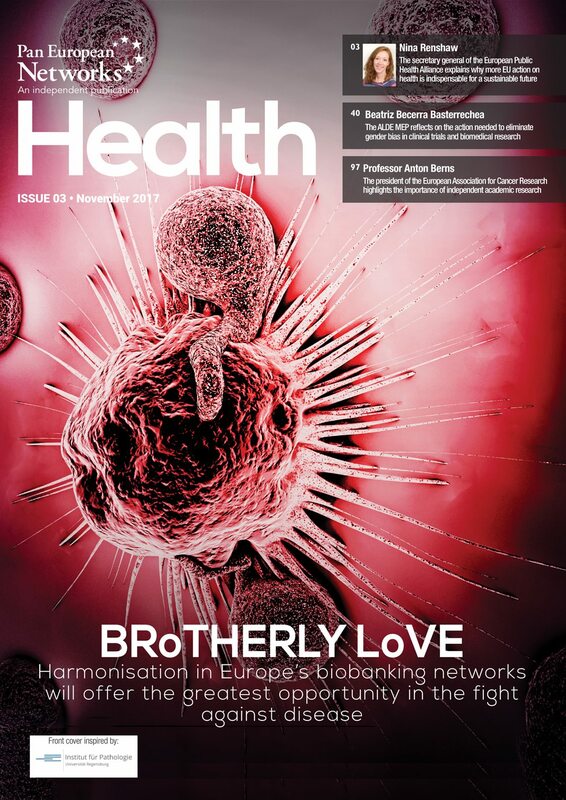 It also features a foreword from Nina Renshaw, the secretary general of the European Public Health Alliance, who discusses the health sector’s importance in the EU and whether more can be done to improve health policies. How does gender inequality impact on health and care? Beatriz Becerra Basterrechea, an MEP for the Alliance of Liberals and Democrats for Europe (ALDE), sets out why the EU and European public health policies need to adopt a fair, gender-equal perspective. Professor Anneke Lucassen, chair of the British Society for Genetic Medicine, reflects on the current state of genomics in the UK and looks ahead to the future. How can we improve the quality of cancer care and research? Professor Tim Elliott, of the University of Southampton, UK, explains how the institution’s Centre for Cancer Immunology will help bring cancer immunotherapy strategies to more patients.